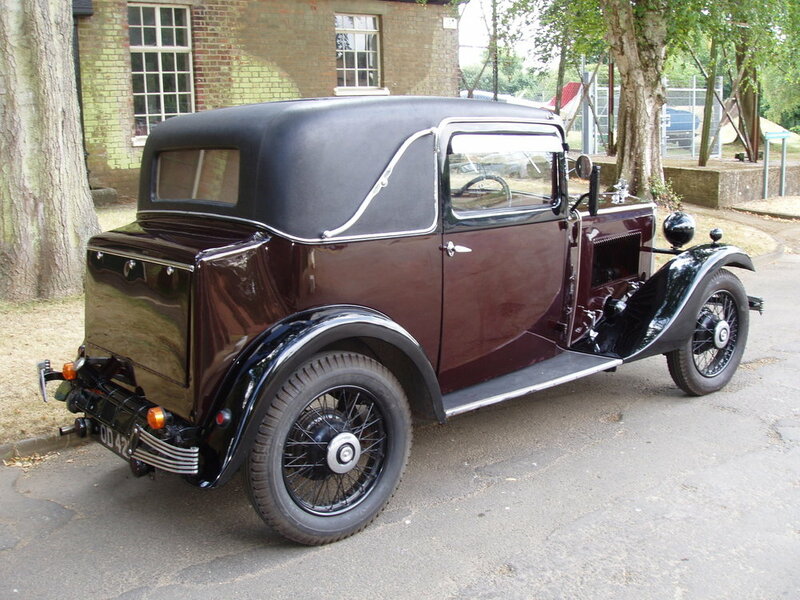 The Morris company was based in Oxford and was involved in the manufacture of motorcars from 1913 onwards. The Morris Major “6” Coupe was very expensive when new and few of those manufactured have survived, with perhaps no more than six existing, making this a rare car indeed. It is beautifully appointed with a walnut veneered wooden dashboard and door cappings. The trim is leather with an opening windshield and large opening sunroof. There is a luggage trunk at the rear and the spare wheel is mounted on the nearside fender. 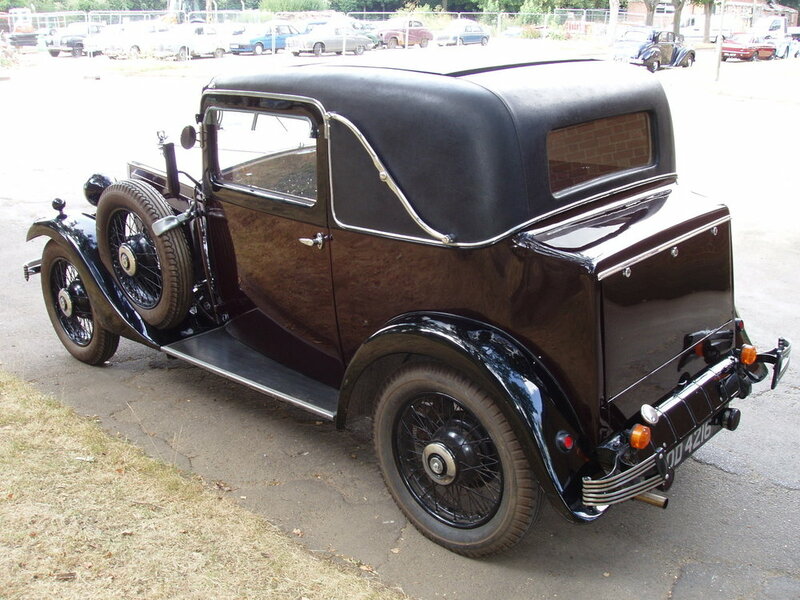 This car was completely restored some twenty years ago, and it is still in very good condition bodily. It’s painted in very dark burgundy red with black fenders and black fabric above the waistline of the body. The interior is in the original burgundy red leather which is still in very good condition, With the six-cylinder engine the car has plenty of torque and is able to pull away at low speeds in top gear. All the original tools are with the car. Recent expenditure has included a stainless steel exhaust, and Orchid Cars Ltd. have just completed a total and thorough engine rebuild. Mechanical four-wheel brakes, handbrake by cable to rear shoes, 10in drums. Center organ-type accelerator pedal, Dipping headlights, Traffic indicators on 1933models (early versions with Wilcox flashing units). Bishop Cam steering adjustable rake. Armstrong friction-type shock absorbers on 1932. Armstrong hydraulic on 1933. Enclosed propeller shaft to spiral bevel rear axle, ratio 5.27:1 Magna wire wheels 3 x 19, 5 stud, Dunlap 500-19 tires. Splash guards on front fenders of 1933 model. Rounded radiator shell chromium-plated with chromium-plated shutters operated by Calorstat, shield shaped badge. Triplex single –panel windscreen with electric windscreen wiper. Twin blade bumpers front and rear. Tack 4 feet. Wheelbase 8ft 10in. The engine rebuild comprised: Re-facing of cylinder block and cylinder head, re-grinding crankshaft, new white metal bearings, re-boring and new pistons, re-profiling of camshaft and new cam followers, new timing chain, new valves and guides, new core plugs, rebuilding the oil pump, etc. The engine will require careful running in for the next 500 miles. The car is quite delightful in all respects and is a pleasure to use. With the large sunroof and opening windshield, one has the “best-of-both-worlds” in that you can be snug and warm without drafts, or conversely enjoy the fresh air to the “full” when the sun is out.